I woke twelve hours earlier to dark blue-moonlight clouds forming on the horizon. As the sky lightened, mist rose to make me think of an imaginary Kashmir, from a long-ago fairy-tale, some mountain country covered in soft gauzy views. Storm clouds rolled in soon after, together with light rain. All day today I have been stealing glimpses and long looks at the sky. It is October 20, the sixth day of the nine-day festival marking the gathering of strength by a goddess arming herself to battle a tremendous foe. It is autumn in Cape Cod. Afternoon,the trees are gold, red, yellow, green, and when the sun comes out, as it does at least three times, the day takes on an impossible sheen. It is as if everything is suffused with a golden light, that is not just the famous north light of this area, but the light of autumn. 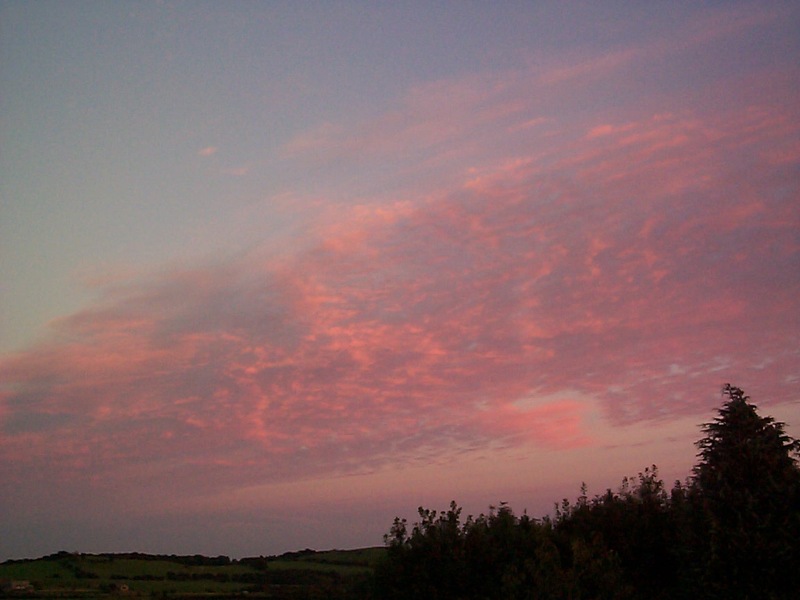 Near six in the evening, the sky suffuses with a mix of pale pink and blue. The white horse glimmers like a mirage, a medieval sight. That is the north, but in the south, the sky blazes strong orange and dark purple. The near-half moon shines silver in the sky. Dhakabrakha in Boston. Worth losing sleep.